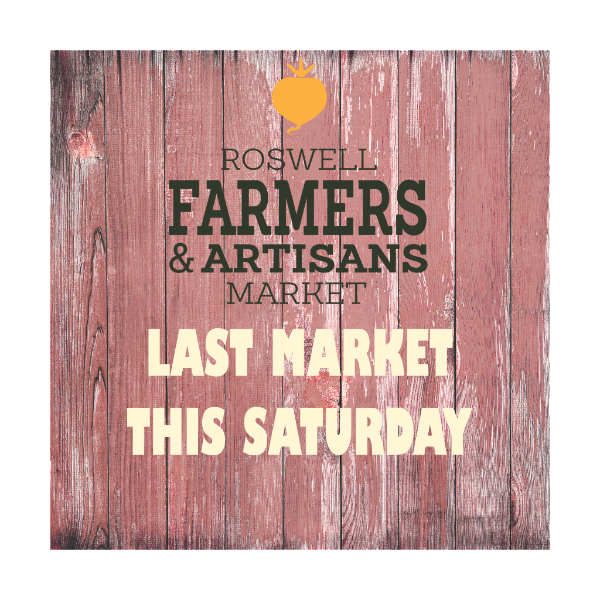 This is the last weekend of the 2018 regular season Roswell Farmers and Artisans Market. Keep an eye out for a pop-up holiday market, to be announced on our social media and via newsletter. It has been a pleasure participating in your community, and we thank you for coming out each weekend to support, exercise, shop, and play with us. Arugula, broccoli, chard, eggplant, herbs, kale, kohlrabi, radishes, onions, potatoes, salad greens, turnips, tatsoi. Live plants including: Mustard Greens, Italian Parsley, Kale, Cilantro, Rosemary, Lavender, and Cabbage.